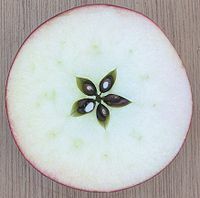 The ovule, when mature, has one or two coats round the central nucellus, except at the top where an opening, the micropyle, is left. The nucellus is a tissue round one large cell, the embryo-sac or megaspore. The one large cell divides, giving the egg and some other material.